Gee whiz, kids are smart these days! Finally a store has come along to offer smart toys for these smart kids! Whiz Kids specializes in educational toys that are still great fun to play with! Not many stores carry the specialty toy lines found here nor the fuller stocking of those lines. 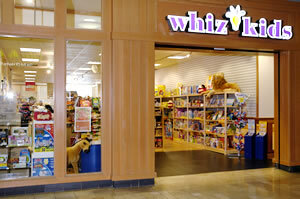 The Whiz Kids stores carry 6,000 items from 200 different manufacturers. What a visual toy bonaza! 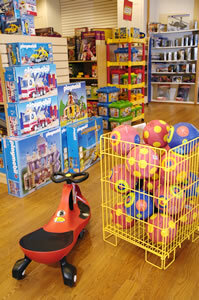 Besides the toys that help children learn is also a contingent of just plain toy toys! 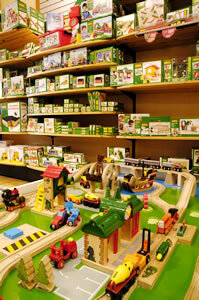 Shelves are filled with science sets, wooden trains and puzzles. Collectible medieval action figurines are watched over by toy horses with flowing manes and who can resist Lego’s and Erector sets?! 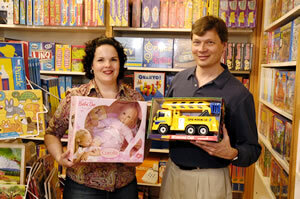 The staff, just big kids themselves, love helping children and parents find that perfect toy. When you’re traveling, this is the perfect place to find and tuck a toy in the suitcase for those little happy faces waiting for your return home! Grandparents, aunts and uncles looking for that special toy-present can easily become "kids in a toy store" themselves at Whiz Kids! People of all ages come in for some play time! Small World Toys feature toys for children ages 0 - 10 years with a focus on early learning, discovery, imagination and active play. BRIO® are the worldwide No. 1 manufacturers of Wooden Toys. ALEX art supplies and activity kits providing children with the confidence to create and the freedom to dream. Erector Sets and Lego’s… The Good Ol' Toys Are Back! 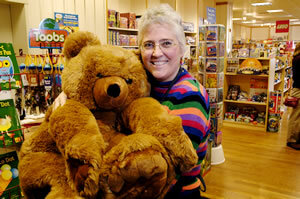 Melissa & Doug create award-winning children's wooden puzzles, wood toys and stuffed animals. Papo toys - toy castles, pirates, Vikings ship, buccaneers, medieval knights, figurines, and medieval castles.